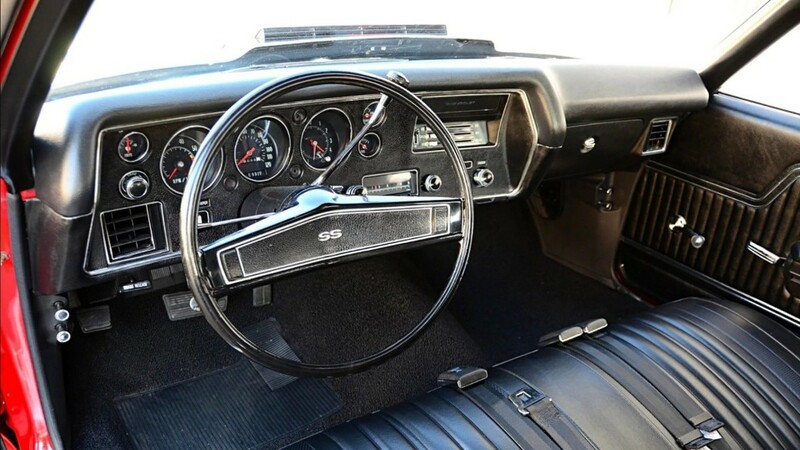 Leading up to the debut of the 1970 Chevrolet Chevelle SS 396, General Motors used prototypes to put the car and powertrain through their paces before production started, not unlike today. Often, automakers make Frankenstein-like prototypes, borrowing bits and pieces from the corporate parts bin to get a prototype on the road to test the desired systems. Once testing is complete, cars are either used again or destroyed. Except not every 1970 Chevrolet Chevelle SS 396 prototype saw the crusher. One escaped — and you can buy it for $390,000. The Chevrolet Chevelle SS for sale is billed as a Pilot prototype by the Pilot Car Registry, a company dedicated to researching and authenticating GM’s engineering prototypes. PCR took its time verifying the Chevrolet Chevelle, starting with a four-hour inspection. PCR discovered sheet metal stamped with “Pilot” and “Advanced” under the paint, signaling the Chevelle’s prototype beginnings—it’s designated as F100042. The late 1960s and early 1970s were an exciting time for U.S. automakers. Muscle cars dominated late-night, street-light-to-street-light racing while the Big Three stopped at nothing to beat their competitors both on the street and the track. It was an era of big engines and equally large amounts of horsepower—at least for the time. And General Motors wasn’t sitting around letting Ford and Chrysler take all the glory. In 1968, the Chevrolet Chevelle entered its second generation with an all-new design that gave it the coupes and convertibles a muscle car-like fastback appearance. In 1970, Chevy updated the Chevelle and introduced the new Chevelle SS 396. This is the prototype that eventually became that car. PCR believes this Chevrolet Chevelle was used as an engineering prototype even though the registry cannot ascertain how GM used the vehicle. After the automaker completed its testing and no longer needed the car, Chevy installed the 396-cubic-inch V8 and offered it for sale with a warranty. Fast-forward nearly 50 years, and the Chevrolet Chevelle SS prototype is up for sale.